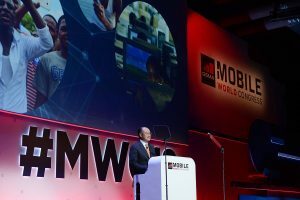 NEW DELHI: World Bank Group President Jim Yong Kim announced today that the institution would partner with the GSMA and mobile network operators around the globe to harness big data from the Internet of Things (IoT) to help end extreme poverty and unlock new drivers of economic growth. The initiative, announced at the GSMA Mobile World Congress 2018 (MWC 2018) in Barcelona, will unlock new insights from anonymized data collected by mobile network operators through IoT devices and aggregate data from smartphone use. It will also call on industry leaders, development partners and governments to work together in building a strong enabling environment for the IoT while protecting personal privacy. This is the first broad scope initiative involving the mobile communications industry and a major multilateral development bank, and is convened by the GSMA, which represents nearly 800 mobile network operators and more than 300 companies in the broader mobile ecosystem. The expansion of mobile networks has created a global infrastructure that generates enormous amounts of data that is invaluable for social and economic development. There are more than 3.8 billion unique mobile subscribers in developing countries; in these markets, more people have access to a mobile phone than to clean water or electricity. GSMA Intelligence estimates there will be 25 billion connections to the Internet of Things globally by 2025, enabling everything from real-time crop monitoring to water leakage detection. Their rapidly growing use in developing countries can produce a wealth of insights for development work. “This new initiative with the World Bank Group will leverage the mobile networks that we have built and the services we deliver to address some of the most pressing challenges that our world faces today,” said Mats Granryd, Director General of the GSMA. “With IoT and big data, we have the ability to provide insights that can be used across a wide range of applications, from agriculture to environmental protection and beyond. We are pleased to be working with the World Bank on this critical initiative and encourage our operator members globally to join in this effort,” added Granryd. The initiative calls on mobile operators to use data that they collect through their existing IoT services or through new pilots and partnerships to provide insights and analysis to design and improve projects. This can potentially boost development outcomes from World Bank Group projects – in the last fiscal year, the institution committed approximately $62 billion for new projects in middle- and low-income countries. Operators and governments will also benefit from increased use of big data for development, as it can enable better service provision, creation of new indicators and statistics, and better quality of life for users and citizens in general. The World Bank Group already has successful examples of applying mobile-enabled IoT and big data to projects. In India, bangle-shaped sensors – wearable IoT data collection devices – allow users to automatically monitor harmful emissions from their stoves, and the data they generate is helping drive a shift to cleaner cookstoves. Additionally, the World Bank Group will join the GSMA’s Big Data for Social Good Advisory Panel. The GSMA is a strong supporter of development initiatives that involve mobile networks and is one of the inaugural partners of the World Bank-led Digital Development Partnership – DDP.